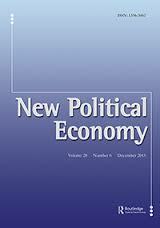 ESID Research on the politics of governing Ghana’s oil has been published as an article, Party politics and the political economy of Ghana’s oil, in the New Political Economy Journal. The research first came out as a working paper. The article, by ESID researchers Giles Mohan, Kojo Asante and Abdul-Gafaru Abdulai, argues that institutions are very important to resource governance, but particularly in the way that they are embedded in circuits of political power and coalitional competition. They find that, despite the existence of democratic institutions, the country’s benefits from oil have been limited. They show how a combination of both interests and, crucially, ideas, affect the way that elite coalitions govern oil in Ghana. They uncover how key differences in the ideas that leading coalitions hold about development make the difference to the way in which oil resources are governed.